The Friends of South Slough Reserve Bookstore is full of information regarding the natural history of our area. 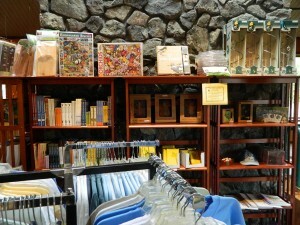 Books and other printed materials, audio CD’s and DVD’s and other offerings all offer the opportunity for you to enhance your knowledge of our Pacific Northwest forests, rivers, estuaries and oceans.Gifts such as clothing, whimsical garden decor, walking sticks, and binoculars are also found as you stroll through the book store. Children will find their interest increased as they view and choose from the many child related offerings. Where is it and when is it open? 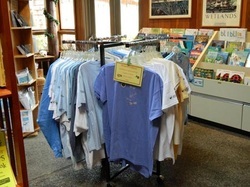 The Friends of South Slough Reserve Bookstore is located in the South Slough National Estuarine Research Reserve Interpretive Center located at 61907 Seven Devils Road. This is about 5 miles South of the fishing village of Charleston, Oregon on Seven Devils Road. The bookstore is open the same days and hours as the Interpretive Center.Members of the Friends of South Slough Reserve save 15% on all purchases.